Compiled and edited by James Durney and Hugh Crawford. 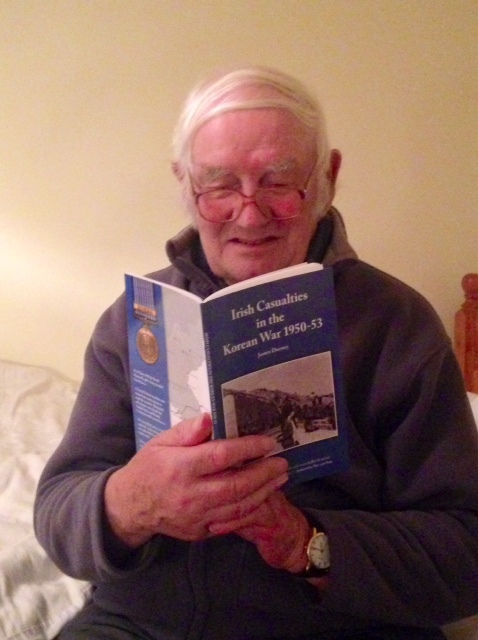 Charles Clements of Killadoon, Celbridge, joined the British army as a young subaltern. After service in India with the 4th Queen’s Own Hussars, he returned to England as storm clouds gathered over Europe. He served in France during the ‘Phoney War,’ which ended with the German invasion of France and the Low Countries. Charles accompanied the 4th Hussars to North Africa and, subsequently, to Greece in 1941 to thwart an Axis invasion. He was captured, along with the bulk of his regiment, in Greece and spent the next four years as a prisoner-of-war in Germany. Liberated in April 1945, Charles Clements returned to Britain to an appointment as commandant of Bridgend POW Camp, where he was the guardian of many of the commanders of the German armed forces. Throughout his time in the British army Charles maintained a diary, and in later years began to compile his writings for publication. 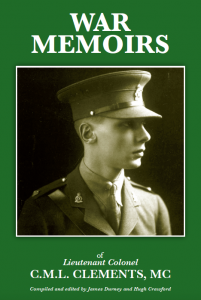 The authors have used his diary, memoirs, letters and photographs to compile a highly readable account of one man’s personal struggle through combat and captivity in World War II. 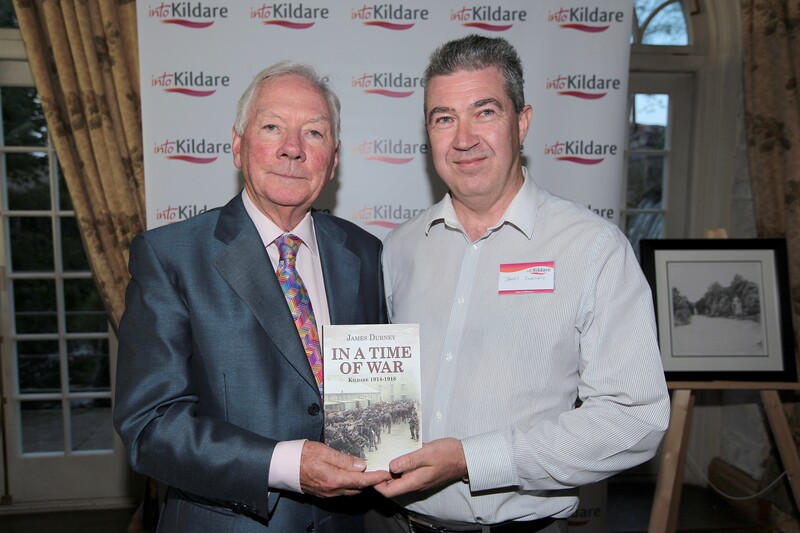 In the very early 1970s when I was a very young teenager, way below the legal age, I sneaked a book from my father’s pile of read, or to be read, books, writes Kildare writer James Durney, author of The 100 Kilo Case. That book was The Godfather by Mario Puzo. From the moment I delved into the world of American organised crime I was hooked. There were two Irish characters in the book — Tom Hagen, Don Corleone’s adopted son, the family lawyer and consigliere (counselor); and Captain Mark McCluskey, a corrupt NYPD police captain. From then on, when reading books on organised crime like The Valachi Papers and My Life in the Mafia I was on the look-out for Irish characters and I discovered there was no shortage of them — good guys and bad guys. I was torn between the two — the bad guys were tough, loyal, and had honour, but the good guys — the cops, special agents and investigators — were also honourable men. Mobsters could be admired, but I didn’t want to be one. I would rather be a cop like Eddie Egan in The French Connection, a rough detective who routinely broke the rules in his effort to nail criminals. Growing up in a small town in Ireland I would dream of a life in New York City as a reporter or a patrolman, or detective. My mother had an uncle, who had run off to New York and made good and would claim me out, so all I needed was the fare. But in a cash-strapped Ireland of the mid-1970s this was not easy. Like many kids of my generation I had a part-time job and from my meagre wages I established a flight-fund. A cut-out map of NYC also took pride of place on my wall, but only for a short time until other distractions — music, girls and alcohol — entered my head. The flight fund soon became an LP record fund and all dreams of New York were abandoned. My reading continued, however, and I became something of an expert on the American Mob. Twenty-odd years later my first book The Mob. The history of Irish gangsters in America hit the shelves, but it was while working on another book The far side of the world. Irish servicemen in the Korean War 1950-53 that I met Peter Daly. 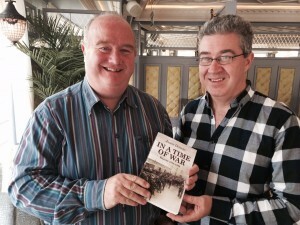 I interviewed Peter, an ex-US Army serviceman, for that publication. He had been in South Korea not long after the war ended on occupation duties and his story featured in the epilogue. However, Peter revealed he had led a more interesting life when he returned to New York as a patrolman and later as a detective with the Special Investigating Unit. As a young cop he did a favour for Red Levine, an old hitman for the Mob’s enforcement arm, Murder Incorporated. Peter Maas had written about Red Levine in his best-selling book The Valachi Papers, so I knew Red was the guy who killed Salvatore Maranzano, the Mafia’s ‘boss of bosses’. In Carlito’s Way Carlito Brigante had said a ‘favour can kill you quicker than a bullet,’ but it seemed Peter had survived in jail because of his favours, or rather who he had done favours for. Peter Maas’s biggest success was the book Serpico, the story of undercover cop Frank Serpico who was shot and badly injured in a drug bust in Brooklyn in 1971. It looked like Serpico had been set up by his police comrades because of his stance on corruption. I had read Serpico, empathised with his lonely fight against corruption in the NYPD. Peter Daly knew Frank Serpico — they had both served at the same time; Peter also knew Jimmy ‘the Gent’ Burke, Henry Hill, Tommy DeSimone and Paulie Vario from Goodfellas fame. He had done a favour for Jimmy Burke, too, while in Lewisburg Penitentiary. He also did favours for Henry Hill and lots of other mob guys. It’s how he survived. I had read another cop book, Robert Daley’s Prince of the City. The 100 kilo case featured heavily in the book, but that was before I knew Peter Daly and the connection to one of the NYPD’s biggest drug seizures. After writing a dozen books on Irish and local history I was now back with my first love — organised crime. Hollywood loves the crooked cop scenario — a down on his luck cop working for the Mob; cops ripping off drug dealers and dealing drugs, even doing hits. But that’s movie fiction, or is it? Peter Daly’s story was an eye-opener into a shady world of police corruption that seems to belong in the movies, but in reality was more the norm. The Knapp Commission, which investigated police corruption in the 1970s, divided corrupt officers into two types: meat-eaters, who ‘aggressively misuse their police powers for personal gain’, and grass-eaters, who ‘simply accept the payoffs that the happenstances of police work throw their way’. Was Peter Daly a meat-eater or a grass-eater? 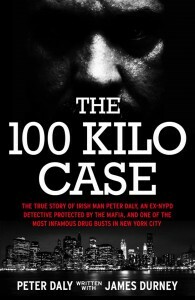 Read The 100 Kilo Case and decide. Frank Burke was born in Carbury, Co. Kildare, in 1895. In September 1909 he was sent as a boarder to St. Enda’s College, which had been founded the previous year by P. H. Pearse in Cullenswood House, Oakley Road, Ranelagh. In 1910 the school was transferred to the more spacious grounds of The Hermitage, Rathfarnham. There was another Frank Burke at St. Enda’s when he arrived so Pearse called him Fergus. On 25 November 1913 a public meeting was held ‘to establish a corps of Irish Volunteers’, at the Rotunda, in Dublin. Frank Burke was in attendance as a steward. After the evacuation of the GPO Frank manned a barricade in Moore Street and on Saturday morning he was part of the group in Sackville Lane, under the command of Lt. Seán McLoughlin, who were preparing to attack the British barricade less than thirty yards away in Parnell Street, when the decision to negotiate a surrender was made. Frank Burke spent Saturday night on the Rotunda lawn, where he said the officer in charge, Capt. Percival Lea Wilson, made a nuisance of himself, mistreating prisoners. On 1 May he was deported to Stafford Detention Barracks and recalled that the Volunteers were jeered, stoned and spit at in Sheffield on their way to Stafford. Irish people living in Britain visited the incarcerated republican prisoners bringing them much appreciated luxuries like cigarettes and food. A group of Irish girls teaching in England visited Stafford Jail, among them Angela Curran, who went to see Frank Burke, although she did not know him. From that chance meeting, romance blossomed and the two later married. Most of the rebel prisoners had been released over the previous months, but some were held until the end. Frank Burke was released on 23 December. He immediately sent a postcard to his mother in Carbury with the words: ‘The first taste of freedom. Just being released. Hope to see you soon.’ Frank returned to Dublin on Christmas Eve. Brunswick Street and Westland Row were packed to capacity. Frank Burke made his way through the throngs of well-wishers and cheering crowds and hopped on a Drumcondra-bound bus to see his sister, Eva. While on the bus he spotted Eva, who did not know he had been released. They, no doubt, had an emotional re-union. Frank Burke travelled home by train to Carbury for Christmas Day. Over the next few days Frank Burke travelled around to neighbouring houses giving the story of the Rising and his imprisonment. Mrs. Margaret Pearse visited Carbury, meeting many local people and staying for a few days. When the schools reopened in January 1917 Frank Burke returned to St. Enda’s to teach. He remained there as Headmaster until the school closed in 1935. Frank was one of the most outstanding all-rounders in GAA history, winning two All-Ireland hurling medals and three All-Ireland football medals, all with Dublin. On Bloody Sunday, 21 November 1920, he was marking Mick Hogan when the Tipperary captain was fatally shot by British forces. Frank Burke died on 28 December 1987, aged ninety-two and was buried in Cruagh Cemetery, Rathfarnham. In May 1916 the British War Office confirmed that Private Patrick Preston (29), 2nd Battalion, Royal Dublin Fusiliers, who had been reported missing in action since 24 May 1915, had been confirmed killed in action. A report in the Kildare Observer of 27 May 1916 stated that his widow, Mrs. Mary Preston, had six brothers serving in the British army, two of whom were prisoners of war. 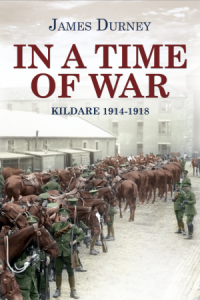 It was not an unusual case in Naas, the home of the Royal Dublin Fusiliers, for many male members of a family to be serving in the British military during WWI, but six brothers is a large commitment. Research showed that Mrs. Preston was formerly Mary Doran, Corban’s Lane, Naas. She was the daughter of James and Margaret Doran. When her husband died Margaret married Peter McCann, in 1891. The couple had four children – Peter, Patrick, Eliza and James – while Margaret was also mother to six children by her marriage to James Doran – Michael (1883), Mary Anne (1885), John Joseph (1887), William Joseph (1889) and Thomas (1891). In total four Doran brothers – Michael, John Joseph, William Joseph and Thomas – and two McCann brothers – Peter and Patrick – were in the British armed forces. Pte. Thomas Doran, 1st Battalion, Royal Dublin Fusiliers, was wounded on 25 April 1915 during the landings at V Beach, Gallipoli. He was sent back to Exeter Hospital in England, where he composed a tribute to the Dublin Fusiliers, ‘Storming of the Dardanelles,’ which was published in the Kildare Observer of 17 July 1916. Johnny Doran (Regimental number 8630) and his brother Paddy McCann (11591), serving with the 2nd Battalion, Royal Dublin Fusiliers, were captured during the retreat from Mons in August 1914. They were held as prisoners-of-war in Seane Lager Camp, Paderborn, and then moved to Limburg Camp, where they remained until the end of the war. Johnny Doran, lived at Corban’s Lane, with his wife, Mary. He was on the special reserve after twelve years service in the RDF and was called up on the outbreak of the war. In Limburg the brothers desisted recruitment to Roger Casement’s Irish Brigade, which the patriot was hoping to raise to fight for Irish independence. Dear Mother, I now take the pleasure of dropping you these few lines hoping to find you all in good health, as this leaves me at present and Paddy in the best of health. Dear mother, I was glad to get the fags and shirt, as we had a good smoke. Hope Lizzie is minding little Maggie, as my heart lies in her. Let me know in your next letter if you heard from Tom or B., as we hear they are coming out. I hope not. Tell the old fellow and Bessie and Mary that me and Paddy wish them all a happy Christmas, as we will make ours as best as we can. Hoping to hear from you soon, and thanks to Mrs. Loveband for the parcels. No more at present – from your son, J. Doran. 8630 Pte. J. Doran, English Lager Sennelager, Paderborn, Germany. John Doran died in July 1961 at the age of seventy-five. His two sons, John and Bill, joined the British army and served in WWII. John was known as ‘Mons’ because he was born at the time his father was captured in the retreat from Mons. Mary Doran married Patrick Preston in Naas on 8 October 1907. Patrick was the son of John and Margaret Preston, of Blessington, Co. Wicklow, and was a serving soldier with the Royal Dublin Fusiliers, based in Naas Military Barracks. Some years after her husband’s death, on 20 August 1921, Mary Preston, formely Doran, married Richard Wood. They lived for a time at Rathasker Road, Naas. The way those famous regiments fought at the Dardanelles. To the cry Are we downhearted? We quickly answered No. And the boys from County Dublin and the Short Grass, that’s Kildare. But the Turks they suffered terribly when we fought them on the land. Collecting bodies, legs and arms, the sight near broke their heart. Our officers say Dublins! We’ll have a bayonet charge. I can’t forget those Irish boys – the Dublin Fusiliers. Before I go, I tell you, be proud and give three cheers. 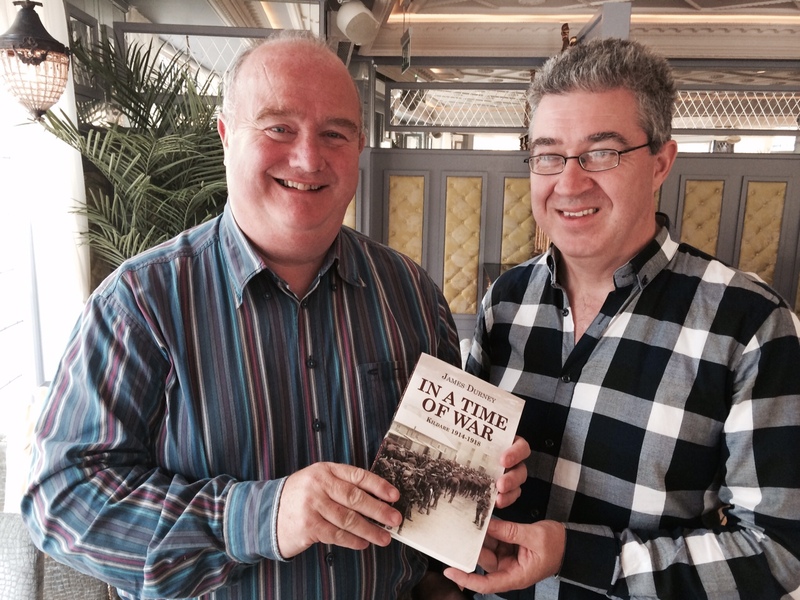 For those brave fighting Irishmen – the Dublin Fusiliers. Pte. Thomas Doran, 1st Battn., RDF. Galway-born brothers, Séumas and Michael O’Kelly, were both editors of the Leinster Leader during Ireland’s revolutionary period. Séumas was editor from 1906-1912, while Michael replaced his brother as editor when Séumas moved to Dublin. Subsequently, when Michael was interned, in the aftermath of the 1916 Rising, Séumas briefly replaced him until Michael was released from custody a few weeks later. The editorship of the Leinster Leader was Séumas O’Kelly’s longest single journalistic connection. Michael O’Kelly was born Michael Kelly, on 18 February 1873, in Loughrea, Co. Galway, to Michael Kelly and his wife, Catherine Fitzgerald. 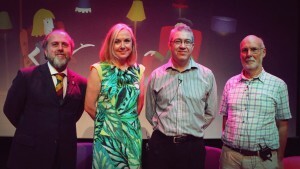 Sponsors were John Fitzgerald and Bridget Morris. Séumas O’Kelly was born James Kelly, in Mobhill, Loughrea, Co. Galway, on 16 November 1875, the youngest of seven children. Sponsors were Martin and Honora Kelly. On 22 October 1905 Catherine Kelly took ill while saying the Stations of the Cross, in Loughrea Cathedral, and died the next day. From the 1880s Loughrea was at the centre of agitation by the Land League’s ‘Plan of Campaign’ on the Clanricarde estate. Many tenants in Loughrea and surrounding rural districts were evicted for non-payment of rent, and Lord Clanricarde resisted their reinstatement until the estate was purchased by special legislation shortly before the Great War. Michael O’Kelly later wrote that his father was ‘one of the sufferers amongst the evicted tenants of the Clanricarde estate,’ and the scenes which Séumas ‘witnessed in his early years left a deep and lasting impression on his mind’. According to one local story the Kellys were evicted from their holding during the Plan of Campaign, though they seemed to have retained a degree of financial stability. Michael Kelly opened a newsagents shop in Loughrea and was able to provide a good level of education for his children. In the 1901 Census Michael Kelly’s occupation was given as ‘Newsagent.’ His address at Mobhill, Loughrea, was recorded as a shop on the B1 Form. He was sixty years of age and his wife, Catherine (56), and daughter, Nora, (26) are also recorded as being newsagents. Sons Michael (23) and James (21) are recorded as ‘journalists.’ A grandson, Alphonsus Sweeney (8), was also recorded. Ten years later, in the 1911 Census, Michael (34) had changed his name to O’Kelly and was a boarder in a house on Dublin Road, Nenagh, Co. Tipperary. His occupation was given as a journalist and his language proficiency recorded as ‘Irish and English’. In 1911 Séumas was living in Naas, Co. Kildare, in a cottage rented from Mrs. Norton. The census form was completed and signed in Irish with the head of family signature being given as Mícéal Ua Ceallaig (72). Also recorded was Nóra Ní Ceallaig (daughter, aged thirty), Séumas Ua Ceallaig (son, aged twenty-eight) and Alponsus Mac Suibne (nephew, aged ten). Both Mícéal and Séumas are recorded as having ‘gaelig and bearla’, while Nóra and Alponsus have ‘bearla’ only. However, Alponsus Mac Suibne is recorded as being a nephew, so it is obvious that Séumas, and not Mícéal, filled in the census form. While growing up in Loughrea, Séumas was influenced in his viewpoint by contact with older relatives and country people from whom he learned some Irish and the folklore/storytelling tradition that shaped many of his stories and writings. Much of his writings are recognisably set in Loughrea and the West of Ireland. His strong commitment to Catholicism was acquired from his deeply religious mother and his service as an altar boy with the local Carmelite fathers. Séumas began working as a journalist on local papers, including the Midland Tribune, the Tuam News, and the Connacht Leader. When he took over the Southern Star, based in Skibbereen, Co. Cork, in 1903, he became the youngest newspaper editor in Ireland. Despite his editorship and newspaper experience it took him some time to make any impact as a writer. Séumas moved to Naas, Co. Kildare, in 1906, to take up the post of editor of the Leinster Leader. He lived first in the town’s Main Street, but then in ‘Abbeyville’ a four-chimney house by the Grand Canal, which provided the inspiration for his linked series of short stories, The Golden Barque. That same year he published his first major work, By the stream of Kilmeen, a collection of short stories and sketches. The following year his one-act comedy, The Matchmakers, was produced by the Theatre of Ireland at the Abbey Theatre. Then came The Flame on the Hearth (1908), but it was not until The Schuller’s Child was presented in 1909, at the Rotunda, that he first experienced popular acclaim. He brought his father, his sister Nora, and his nephew, Alphonsus Sweeney, to live with him in Naas, in 1907. Meanwhile, he had founded a local branch of the Gaelic League, became an early member of Naas Sinn Féin, and played host to many visitors, including Countess Markievicz, who attended the yearly June commemorations at Wolfe Tone’s grave in nearby Bodenstown. His journalistic career was accompanied by his development as a writer, publishing stories in a variety of outlets, including the Irish Rosary and the Irish Packet. He eventually became master of the short story form. Séumas had always been nationalistic and conscious of the many injustices in Ireland at the time and was a contributor to the United Irishman, published by Arthur Griffith – who had been a compositor in the Leinster Leader’s rival paper, the Kildare Observer, also published in Naas. Séumas made regular weekend visits to Dublin, where Griffith introduced him to Dublin literary circles, including Seamus O’Sullivan, who described Séumas as ‘a stoutly-built little man … who seemed to me, at first sight, to be the most good-natured-looking person I had ever seen’. Around 1911, Séumas suffered a severe attack of rheumatic fever, which left him with a chronic heart condition. He continued to write extensively and with increasing skill publishing verse and short stories; he collaborated with Count Casimir de Markievicz on the one-act play Lustre. Séumas became editor of the Dublin Saturday Evening Post in 1912 and moved to Dublin, where he lived in Drumcondra. His editorship at the Leinster Leader was taken up by his brother, Michael. Séumas attended the inaugural meeting of the Irish Volunteers, with his nephew, in November 1913, at the Rotunda. Around the same time that he moved to Dublin Séumas began writing a series of Irish sketches for the Manchester Guardian, turning down a permanent job on the paper. Shortly afterwards Miss A. E. Hornridge, the Abbey benefactress, asked him to write a play suitable for an English audience. He wrote Driftwood, which was produced at the Gaiety Theatre, Manchester, in October 1915, and the following January it opened at the Duke of York Theatre, London. The success of this work prompted London publishers to take note, for the following year Metheun published his first novel The Lady of Deerpark. From that onwards much of his work was published in London and New York and his literary reputation continued to grow. One such work, The Weaver’s Grave,’ is regarded throughout the world as a masterpiece. It is the best-known and most translated and broadcast of O’Kelly’s work. Séumas O’Kelly left the Evening Post in 1915 because of continuing ill-health. He was offered the editorship of the Sunday Freeman, but had to retire after two weeks and returned to live in Naas, in January 1916. When Michael O’Kelly was arrested and interned after the Easter Rising he resumed the editorship of the Leinster Leader until his brother’s release in June 1916, his work complicated by his having to get all controversial articles passed by the censor in Dublin Castle. 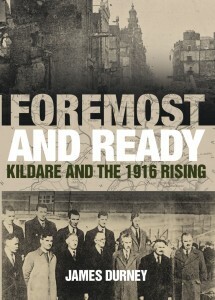 The strongly nationalistic views of editor, Michael O’Kelly, were reflected in the Leinster Leader, especially in reports concerning the British army and its war effort. In October 1914 O’Kelly wrote a long editorial on ‘Ireland and the war’ in which he attacked the ‘unholy lust of capitalism and others’ and argued that Ireland’s quarrel was with Britain and not Germany. He became President of Naas Sinn Féin Club and Officer Commanding Naas Company, Irish Volunteers. In early 1916 a meeting was held in Michael O’Kelly’s home at Gleann na Greine, Naas, to prepare for local action in support of a general rising planned for Easter week. Eoin MacNeill’s countermanding order generated huge confusion and very few Volunteers mobilized for action at Easter 1916. In the aftermath of the Rising there were some local arrests and Michael O’Kelly and his nephew, Alphonsus Sweeney, were among those picked up. 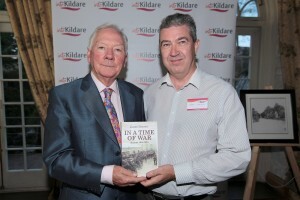 O’Kelly was imprisoned in the Glasshouse, at the Curragh and Richmond Barracks, Dublin. He was deported on 8 May and interned in Wandesworth Detention Camp and Wakefield Barracks, England. In early June 1916, after a month in detention, he was released and resumed editorship of the Leinster Leader in August. Séumas O’Kelly continued to live in Naas until May 1918 when Arthur Griffith was arrested and deported during the German Plot scare. Despite his failing health, Séumas assumed editorship of Nationality. During celebrations after the Armistice of November 1918 a crowd of soldiers and separation women attacked the paper’s premises, which were also the headquarters of Sinn Féin. O’Kelly feebly defended himself with his walking stick, but suffered a cerebral hemorrhage, which led to his death in Jervis Street Nursing Home, Dublin, on 14 November 1918. His funeral to Glasnevin Cemetery, Dublin, turned into a major political demonstration and his status as a nationalist martyr led to the posthumous publication of many of his works. The procession which started at noon from the Church of St. Teresa, Clarendon Street, was of imposing proportion, while along the route to the cemetery the streets were thronged with spectators. Previous to the removal of the remains from the church Requiem Mass for the spiritual repose of the deceased was celebrated by his brother, the Rev. Father Alphonsus O’Kelly, O.D.C. Wreathes were received from the Sinn Fein Executive, the staff of Nationality, the staff of the Leinster Leader, the Co. Kildare Gaelic League Executive, and Naas (Seán Connolly) Sinn Fein Club. The fife and drum band of the Dublin Builders’ United Labourers’ Trades Union, the Ashbourne Irish pipers’ band and the Sinn Féin Irish pipers’ band played slow music as the funeral wended its way through principal streets of the city. In the cortege were Cumann na mBan and other women’s organizations, Sinn Fein clubs, Fianna boys, Gaelic Leaguers, and the general public. The pathways in the cemetery were lined by Volunteers, who were formally dismissed by their officers, when the internment had been completed. Some two hundred police were stationed in the vicinity of Glasnevin. Séumas O’Kelly was unmarried, but he is said to have cherished a hopeless passion for the actress and republican activist, Máire Nic Shiubhlaigh (Mary Walker), for whom he wrote the play, The Shuiler’s Child (1909). She was a founder member of the Abbey theatre and was leading lady on its opening night in 1904. As a member of Cumann na mBan Nic Shiubhlaigh was at Jacob’s Factory in Easter Week 1916. She married former IRA Director of Organisation, Eamon Price, in 1929, and died in 1958. Michael O’Kelly remained a prominent republican activist throughout the revolutionary period. At Naas Petty Sessions he was sentenced to a week in Mountjoy Jail, in March 1918, for ‘unlawfully’ selling potatoes without having a licence from the British Food Controller. After the evidence was given Michael O’Kelly said, ‘I do not recognise the jurisdiction of this court at all. 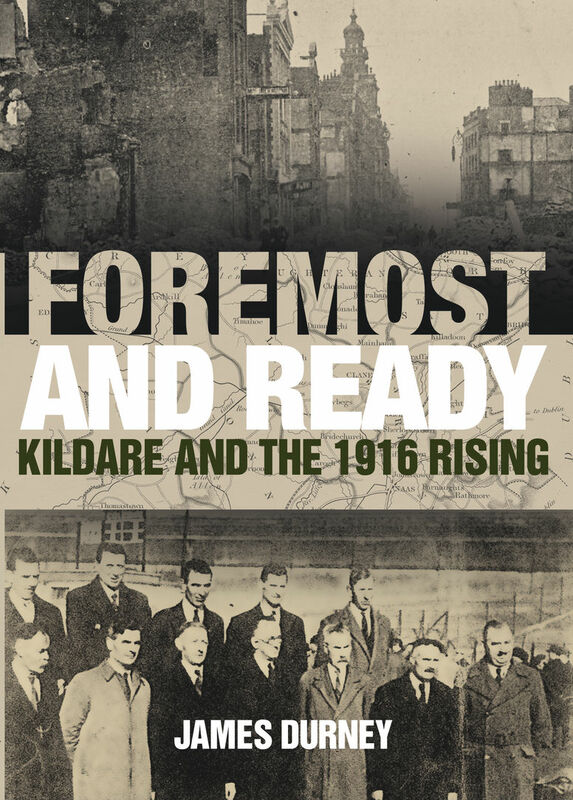 I am a citizen and soldier of the Irish Republic, and don’t recognise this court.’ O’Kelly was interned in the Rath Camp in 1921 until the General Amnesty in December; he was interned again during the Civil War, in Newbridge Barracks, in 1923. In later life he moved to Dublin and worked with the Irish Independent. He lived at 76 Upper George’s Street, Dun Laoghaire. Michael O’Kelly died in December 1955, aged eighty-two. His funeral took place to Glasnevin Cemetery, following Requiem Mass in the Church of St. Teresa, Clarendon Street, from where his brother’s remains had left thirty-seven years earlier. Military honours were accorded by a unit of the Defence Forces; Naas Company, Old IRA, was represented by a former comrade, Patrick O’Carroll. The attendance included his nephew, Alphonsus Sweeney (Dun Laoghaire), and M. F. Linnane, Chief Reporter for the Irish Independent.